1/6 What is Technical Analysis? 5/6 What Is the RSI Indicator? Technical analysis (TA), often referred to as charting, is a type of analysis that aims to predict future market behavior based on previous price action and volume data. The TA approach is extensively applied to stocks and other assets in traditional financial markets, but it is also an integral component of trading digital currencies in the cryptocurrency market. In contrast to fundamental analysis (FA), which considers multiple factors around the price of an asset, TA is strictly focused on historical price action. Therefore, it is utilized as a tool to examine an asset's price fluctuations and volume data, and many traders employ it on an attempt to identify trends and favorable trading opportunities. While primitive forms of technical analysis appeared in the 17th century Amsterdam and 18th century Japan, the modern TA is often traced back to the work of Charles Dow. A financial journalist and founder of The Wall Street Journal, Dow was among the first to observe that individual assets and markets often move in trends that could be segmented and examined. His work later gave birth to the Dow Theory that encouraged further developments in technical analysis. In the early stages, the rudimentary approach of technical analysis was based on hand-made sheets and manual calculations, but with the advance of technology and modern computing, TA became widespread and is now an important tool for many investors and traders. As mentioned, TA is basically the study of an asset’s current and previous prices. The main underlying assumption of technical analysis is that fluctuations in the price of an asset are not random and generally evolve into identifiable trends over time. At its core, TA is the analysis of the market forces of supply and demand, which are a representation of the overall market sentiment. In other terms, the price of an asset is a reflection of the opposing selling and buying forces, and these forces are closely related to the emotions of traders and investors (essentially fear and greed). Noteworthy, TA is considered more reliable and effective in markets that operate under normal conditions, with high volume and liquidity. The high-volume markets are less susceptible to price manipulation and abnormal external influences that could create false signals and render TA useless. In order to examine prices and eventually spot favorable opportunities, traders utilize a variety of charting tools known as indicators. Technical analysis indicators can help traders identify existing trends and also provide insightful information about trends that may emerge in the future. Since TA indicators are fallible, some traders make use of multiple indicators as a way to reduce risks. Typically, traders who use TA employ a variety of different indicators and metrics to try and determine market trends, based on charts and historical price action. Among the numerous technical analysis indicators, simple moving averages (SMA) are one of the most used and well-known examples. As the name suggests, the SMA is calculated based on the closing prices of an asset within a set time period. The exponential moving average (EMA) is a modified version of the SMA that weights recent closing prices more heavily than the older ones. Another commonly used indicator is the relative strength index (RSI), which is part of a class of indicators known as oscillators. Unlike simple moving averages that simply track price changes over time, oscillators apply mathematical formulas to pricing data and then produce readings that fall within predefined ranges. In the case of the RSI, this range goes from 0 to 100. The Bollinger Bands (BB) indicator is another oscillator-type that is quite popular among traders. The BB indicator consists of two lateral bands that flow around a moving average line. It is used to spot potential overbought and oversold market conditions, as well as to measure market volatility. Besides the more basic and simple TA instruments, there are some indicators that rely on other indicators to generate data. For instance, the Stochastic RSI is calculated by applying a mathematical formula to the regular RSI. Another popular example is the moving average convergence divergence (MACD) indicator. The MACD is generated by subtracting two EMAs to create the main line (the MACD line). The first line is then used to generate another EMA, resulting in a second line (known as the signal line). In addition, there is the MACD histogram, which is calculated based on the differences between those two lines. While indicators are useful for identifying general trends, they can also be used to provide insights about potential entry and exit points (buy or sell signals). These signals may be generated when specific events occur in an indicator's chart. For example, when the RSI produces a reading of 70 or more, it could suggest that the market is operating under overbought conditions. The same logic applies when the RSI declines to 30 or less, which is generally perceived as a signal for oversold market conditions. As previously discussed, the trading signals provided by technical analysis are not always accurate, and there is a considerable amount of noise (false signals) produced by TA indicators. This is especially concerning within the cryptocurrency markets, which are way smaller than the traditional ones and, as such, more volatile. Although extensively used in all sorts of markets, TA is seemed by many specialists as a controversial and unreliable method, and is often referred to as a “self-fulfilling prophecy.” Such a term is used to describe events that only happen because a large number of people assumed they would happen. Critics argue that, in the context of financial markets, if a large number of traders and investors rely on the same types of indicators, such as support or resistance lines, the chances of these indicators working increase. On the other hand, many TA supporters argue that each chartist has their own particular way of analyzing the charts and using the several indicators available, which would imply that it is virtually impossible for a large number of traders to use the same particular strategy. A central premise of technical analysis is that market prices already reflect all fundamental factors related to a particular asset. But in contrast to the TA approach, that is mainly focused on historical price data and volume (market charts), fundamental analysis (FA) adopts a broader investigation strategy that places more emphasis on qualitative factors. The fundamental analysis considers that the future performance of an asset is dependent on much more than just historical data. Essentially, FA is a method used to estimate the intrinsic value of a company, business or asset based on a wide range of micro and macroeconomic conditions, such as company management and reputation, market competition, growth rates, and industry health. 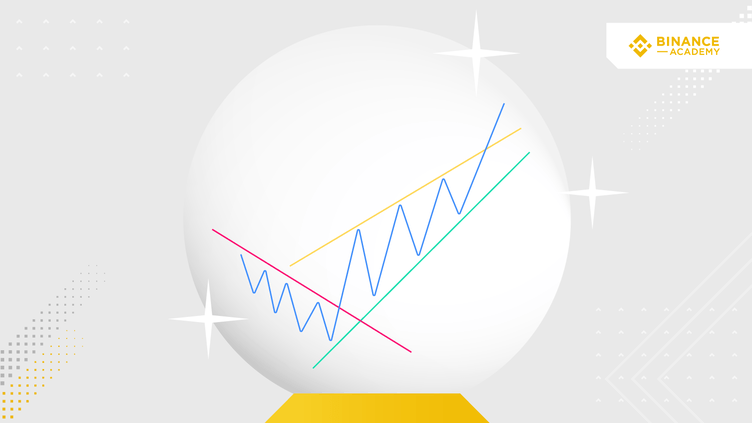 Therefore, we may consider that unlike TA that is mainly used as a prediction tool for price action and market behavior, FA is a method for determining whether an asset is overvalued or not, according to its context and potential. While technical analysis is mostly employed by short-term traders, fundamental analysis tends to be preferred by funds managers and long-term investors. One notable advantage of technical analysis is the fact that it relies on quantitative data. As such, it provides a framework for an objective investigation of price history, eliminating some of the guesswork that comes with the more qualitative approach of the fundamental analysis. However, despite dealing with empirical data, TA is still influenced by personal bias and subjectivity. For instance, a trader who is strongly predisposed to reach a certain conclusion about an asset will probably be able to manipulate his TA tools to support their bias and reflect their preconceived notions and, in many cases, this happens without their awareness. Moreover, technical analysis can also fail during periods in which markets don’t present a clear pattern or trend. Besides the criticisms and the long-standing controversial debate about which method is better, a combination of both TA and FA approaches is considered by many as a more rational choice. While FA usually relates to long-term investment strategies, TA may provide insightful information in regards to short-term market conditions, which may be useful for both traders and investors (for instance, when trying to determine favorable entry and exit points).